Apple's event from last night was packed with new offerings, a few that just looked new and a few that are probably going to change that smartphone in your hand forever. Apple's event from last night was packed with new offerings, a few that just looked new and a few that are probably going to change that smartphone in your hand forever. Every year Apple introduces a new iPhone that is mostly incremental in terms of specifications but it comes up with an all new design language every second year. This year Apple was supposed to introduce an all new iPhone 7 and iPhone 7 Plus but ended up creating something that looks and feels much like the iPhone 6s and iPhone 6s Plus. Where one would call it a huge risk from Apple's side, the company has actually played smart and introduced refinements that make it a must buy for most Apple-loyalists. 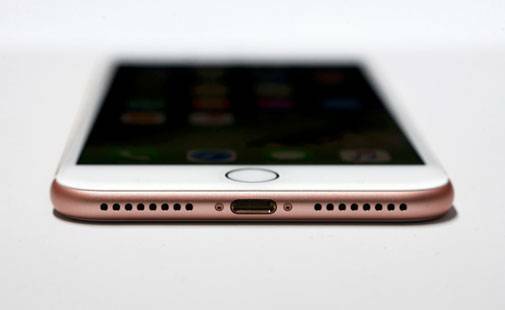 Though many would take it against Apple for not pushing the lines with the new Apple iPhone 7 and iPhone 7 Plus design, but so far no major draw backs have been registered with the previous versions. Which makes the new generation phones a safe-play. Users get a familiar yet much better looking device. The new phone comes with a similar casing but with a use of glass and smooth curves giving it a premium and futuristic touch. Despite maintaining a similar design, Apple was able to incorporate water and dust resistance capabilities in their latest offering. Where Apple actually tried not to play safe was with the choice of a single lightning port. Losing the 3.5mm jack is no small move and might also seem as technologically regressive for many. Apple tried to justify the move by including an adapter in the box, but it runs the risk of turning into a liability for users. At $159, the company's new Apple Airpods are seemingly out of most people's earphone budget. The new A10 fusion chip supplied with the iPhone 7 and iPhone 7 Plus is a considerable upgrade from the previous A9 chip. The quad-core chip will come with two high performance cores and two mid-range cores for lighter tasks. With Apple's optimised iOS10 the phone shouldn't have any trouble catching up with the Android-counterparts. The new chip is claimed to be 40 per cent more powerful than last year's iPhone. Apple decided to stick to same old Retina HD resolution. The only change being a wider color gambit and that it is 25 per cent brighter than the previous generation phone. All-in-all the display has improved but still doesn't get close to what Samsung has to offer with the Galaxy Note 7 or Galaxy S7. 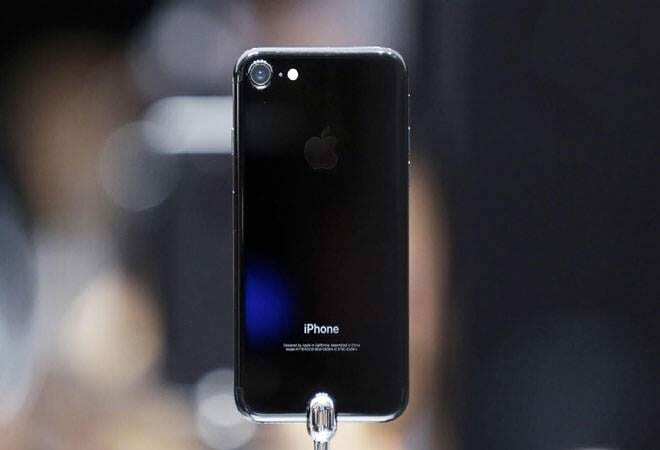 This can be the real game changer for the device, the new camera modules on the iPhones are touted to be the champions of low-light photography. 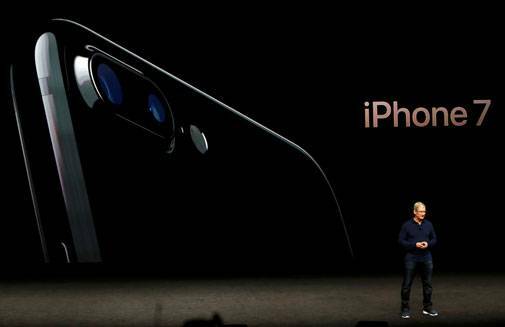 With OIS on both versions this time, the Apple iPhone 7 will get an impressive aperture of 1.8. If one is planning to buy an iPhone just for the sake of camera they should definetly put in a hundred dollars extra and buy the iPhone 7 Plus. The device comes with two camera modules, both with a 12Megapixel resolution. One on them will be a wide-angle camera, while the other will come with a telephoto lens. Which will give an additional option of 2x optical zoom without much distortion. If we are to believe the images showcased during the presentation, Apple is likely to rule the smartphone camera market. Also, the camera will support raw images for people who like complete control while editing the picture. Batteries have never been a strong suit for Apple phones and even this time around the phones will come with a meager improvement of one hour on the iPhone 7 and two hours on the iPhone 7 Plus. Power users will have to carry a power bank to survive through the day. Apple has finally paid heed to the sobbing base-variant-buyers. 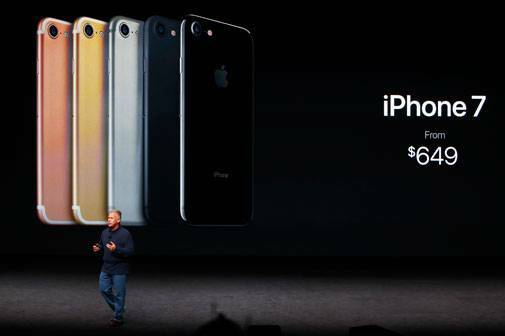 The new iPhone will come with a minimum of 32GB internal storage for the same price as the older 16GB iPhone 6s. The base variant for iPhone 7 will cost $649 (aprox. Rs 43,000) and $769 (approx. Rs 51,000) for the iPhone 7 Plus. By the time these devices reach India they will be much expensive as compared to the American prices. 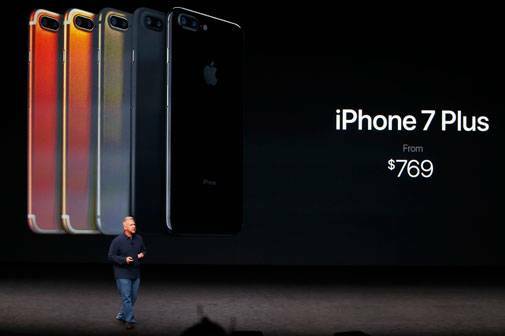 In India, the base variant for iPhone 7 might cost around Rs 60,000 and the base variant for iPhone 7 Plus around Rs 72,000. Apple has big plans for India, the third largest smartphone market in the world. So far, it doesn't even feature in the top 5 most selling companies in India. An early launch might help Apple tap into the festive season bonanza. The devices are estimated to launch a month from now on October 7.